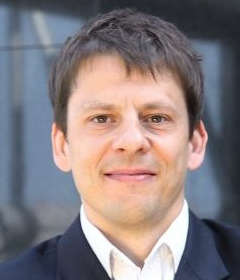 Jakub Żmuda is a CIO with over 17 years of experience in IT. The first years of his professional career he devoted to telecommunications industry in which he worked both on the client's side and as the vendor of IT solutions. In the telecommunications industry, he got to know the most innovative and complex IT solutions in Poland. In 2015 he switched the industry and moved to LOT Polish Airlines. For three years he has been the head of IT and is gradually transforming architecture and the way IT functions in the company. He implements solutions that allow the company to quickly address very dynamic business requirements. He was responsible for the implementation of the central datawarehouse in the company and the data governance process. Created the Cybersecurity department responsible for the system approach to IT security in the company. LOT Polish Airlines S.A. has been Polish flag air carrier since 1929. It's main base and hub is Warsaw Frederic Chopin Airport. LOT fleet consists of Boeing 737s/787s, Embraer 170s/175s/190s/195s as well as Bombardier Q400NGs. LOT was a launch carrier for the Embraer E-Jet Family (E170/175/190/195) and as the first European carrier received Boeing 787-8 Dreamliner. LOT is a STAR Alliance member.